H iring across international borders comes with its own unique set of challenges, as any hiring manager who has done it can attest. Differences in employment legislation can cause headaches in the hiring process. Even the differences in labour markets in different areas can prove challenging. 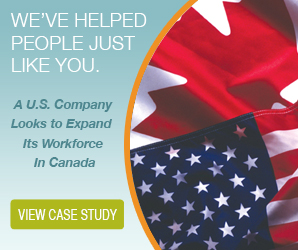 For Canadian employers, hiring in the US can seem daunting. 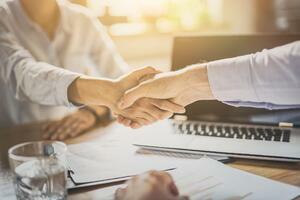 At first glance, hiring may not seem very different than it is here in Canada, but the regulations can vary widely from state to state. Even the federal definitions of different types of workers can vary from what’s familiar here in Canada. You might be thinking about hiring what’s known as a 1099 employee for your American operations. If so, there are a few things you’ll want to know before bringing them on board. In the United States, employee misclassification is a big concern. The IRS has a program dedicated to determining how a worker should be classified. Worker classification determines an employer’s responsibility to them. Employees are entitled to certain benefits. And although they’re called “employees,” 1099 employees are actually contractors or freelancers. Hiring a 1099 employee reduces the employer’s responsibilities to them. In most ways, it’s similar to hiring a vendor to deliver a service. You sign a contract with them, agreeing to pay them a certain amount for the services they deliver. As mentioned, American employers have certain responsibilities towards their employees. Some of them will be familiar to Canadian business owners. For example, American business owners need to provide workers’ compensation and unemployment insurance for their employees. They’re also responsible for taxes. When you hire a 1099 employee, however, you’re not responsible for these costs. You also aren’t expected to provide office space or equipment, as the contractor should supply their own. Finally, you don’t need to train them. The person you hire should already be competent. If they need more training, it’s at their discretion and cost. When you hire an employee in the US, you’ll have control over many aspects of their job and how they perform it. For example, you can require them to be at work in your office between certain hours. You can also specify the equipment they’ll need to use, and you can provide it. With a 1099 employee, you have much less control. The contractor can fulfill the terms of the contract the way they see fit. If you give them a deadline, they can work on the project when they have time, provided they meet the deadline. As discussed above, there are concerns about employers misclassifying employees as contractors. The issue often stems from the concern that employers are purposefully misclassifying workers in order to reduce their responsibilities and save money. The IRS uses a test to determine employee classification, which you should take advantage of. There are penalties for misclassification, and some states levy their own fines as well. If you hire a contractor to produce work for you, they may still own their IP at the end of the day. Even if your contract specifies the work as being work-for-hire, the contractor might still have rights. In order to qualify as work-for-hire, the work must meet three criteria. It must be specially commissioned, it must fall into one of several categories, and you and the contractor must agree to terms. Hiring 1099 employees can be tricky for international companies. Working with a professional employer organization can help you navigate the nuances. If you have more questions about how to hire the right people for your business, talk to a PEO today.